1 What is L Tyrosine? L tyrosine is an amino acid needed for the syntheses of various proteins in the body. It is notable for being the precursor of the hormones released from the thyroid glands. Can L tyrosine promote weight loss? If yes, how does it work and what are its limits? Read on to find out. L tyrosine is one of the 3 isomers of tyrosine and it is the most abundant and the only one produced under normal conditions. The other 2 forms are rare and only synthesized in the body during oxidative stress. Tyrosine is a non-essential amino acid, one of the 22 amino acids that the human body employs in making proteins. Its chemical name is 4-hydroxyphenylalanine and it is produced from phenylalanine, an essential amino acid. Upon production, tyrosine can be used to synthesize a number of essential compounds in the body. The tyrosine molecule can acquire a phosphate or a sulfate group. The phoshotyrosine and sulfotyrosine formed from such reactions are required for signal transduction and the activities of different enzymes. In the central nervous system, tyrosine is converted to levodopa which is then turned to dopamine, an essential neurotransmitter in the brain. Other neurotransmitters produced from tyrosine via dopamine are epinephrine and norepinephrine. 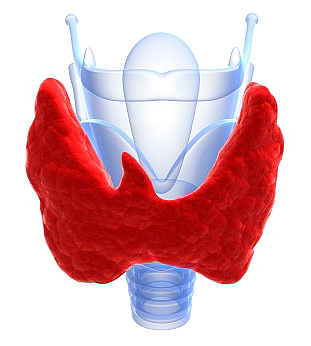 In the thyroid gland, tyrosine is converted to thyroid hormones, triiodothyronine (T3) and thyroxine (T4). Elsewhere, tyrosine is converted to melanin, the compound responsible for skin pigment. In plants, tyrosine can be turned into alkaloids such as morphine and mescaline. Most of the medical uses of L tyrosine stem from its role as the precursor of neurotransmitters. Therefore, L tyrosine supplementation increases the levels of dopamine and norepinephrine in the brain. However, this does not directly translate into improved mood in normal subjects. In fact, most of the effects of L tyrosine are most apparent during periods of stress. Tyrosine can reduce the levels of stress hormones and alleviate the presentations of stress such as fatigue and cognitive decline. 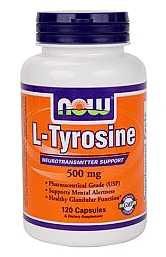 In supplementation, the usual dose of L tyrosine is 500 – 1500 mg per day. Doses beyond 12,000 mg per day can have negative effects such as paradoxically lowering dopamine levels as well as reducing the absorption of levodopa and other amino acids. Although the body makes some of its tyrosine from phenylalanine, the non-essential amino acid can also be obtained from food sources and supplements. Foods with high-protein content are often rich sources of L tyrosine. Some of these include fish, poultry, milk, cheese, yogurt, soy products, almonds, peanuts, avocado, banana, sesame seeds, lima seeds and pumpkin seeds. There are only a very few studies done on the link between L tyrosine and weight loss. Mostly, these studies only study tyrosine when taken alongside other weight loss supplements. One such study is published in 2006 in the International Journal of Obesity. In that study, a combination of caffeine, capsaicin, catechins and tyrosine was trialed as a weight loss combination in a group of obese patients. The bioactive food supplements assembled in the combination are known to induce thermogenesis, promote satiety and lipolysis. All of these is achieved through the stimulation of the sympathetic nervous system. The study recruited 80 obese subjects who were placed on a low calorie diet for 4 weeks. Those who lost more than 4% of their body weight after the fourth week were placed on the combination of bioactive food supplements or placebo for 8 weeks. The subjects were tested before and after the 8-week period. Among the factors measured were blood pressure, heart rate and body weight. The results of the study showed that the bioactive supplement including tyrosine increased thermogenesis. While all the subjects experienced significant weight loss after the 4 weeks on which they were placed on the weight loss diet, those who received the tyrosine-containing supplement saw even greater reduction in body fat mass. This reduction was not as significant as the one caused by the low calorie diet, however, but it was enough to help maintain the weight loss produced by the restricted diet. Since L tyrosine is used to produce neurotransmitters such as dopamine, it can help improve mood and contribute to the management of depression. Even more importantly, tyrosine can help relieve stress. Both stress and depression can cause periods of inactivity which may promote weight gain. By improving the mood and reducing the production of stress hormones, tyrosine can help prevent weight gain, and prompt weight loss by increasing the user’s participation in daily activities. Different studies in animal models have shown that tyrosine can improve the appetite suppressant effects of supplements that stimulate the sympathetic nervous system. Such supplements include ephedra and this effect is the reason L tyrosine is often included with ephedra and ephedra-containing herbs. However, on its own, tyrosine does not suppress appetite. Yet another beneficial effect of tyrosine is in stimulating the production of neurohormones such as epinephrine and norepinephrine. This results in thermogenesis and the increased muscular activity caused by the increased production of these compounds can help burn stored fat. The thermogenic effects of L tyrosine can also be due to the increased thyroid hormone synthesis it causes. Since tyrosine is a precursor used in the production of both triiodothyronine or T3 and thyroxine or T4, it is routinely used in the treatment of hypothyroidism. The thyroid hormones promote metabolism including the burning of stored fats and the immediate release of energy. Therefore, by improving thyroid functioning, tyrosine can promote weight loss. For this reason, tyrosine is especially useful in the shedding of weight caused by low production of thyroid hormones. Although the evidence for the benefits of tyrosine in achieving weight loss is weak, some weight loss experts do claim the amino acid works. 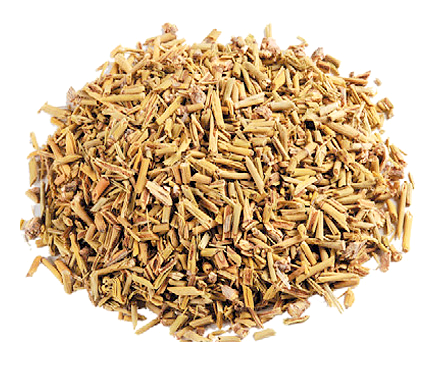 It is especially believed that tyrosine is effective for losing stress-induced weight gain. There are no standard doses of L tyrosine for achieving weight loss since the use of the amino acid in this regard is an off-label indication. However, a maximal dose of 1500 mg per day can be recommended. L tyrosine supplements are better taken without food. This is to reduce the amount of other amino acids competing for absorption. Other supplements may be recommended alongside. These include folic acid, vitamin B6 and copper. These supplements are important for the biosynthesis of neurotransmitters from tyrosine.